Some building supplies in our store are one of a kind or limited in quantity because we buy them at auctions or from contractors and different manufacturers. You never know what kind of unique building supplies you will find at our store, due to our ever-changing inventory. That is why we invite you to visit us to check out what is new each week. 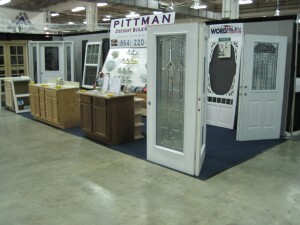 Are you looking for raised-panel cabinets? Would a farm-style sink give your kitchen some rustic charm? Are shutter windows on your to-do list? Give us a call if you are looking for something specific—we would love to help you find that special item you need. If you are looking for something specific, don’t hesitate to call us!